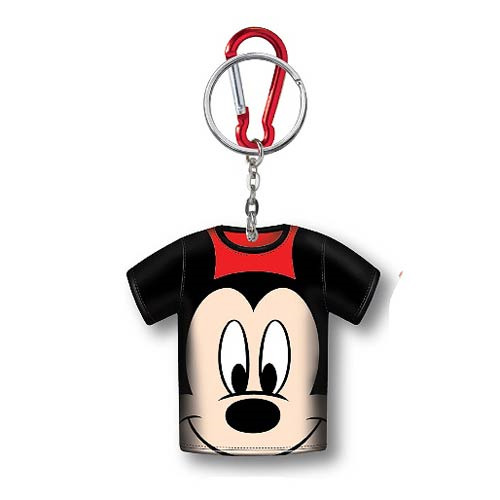 Disney offers versatility with this Mickey Mouse T-Shirt Coin Cover Key Chain! Not only can you keep your keys close at hand, but your change as well! Made of a flexible, rubber-like plastic featuring the smiling face of Disney's favorite mouse on a t-shirt, it also offers a clip to attach to a backpack or purse. Measures 3 1/2-inches tall. Ages 4 and up.